LONDON -- Anyone can dial a wrong number, but it's not often done from outer space. He wrote "I'd like to apologize to the lady I just called by mistake saying 'Hello, is this planet Earth?' - not a prank call - just a wrong number!" 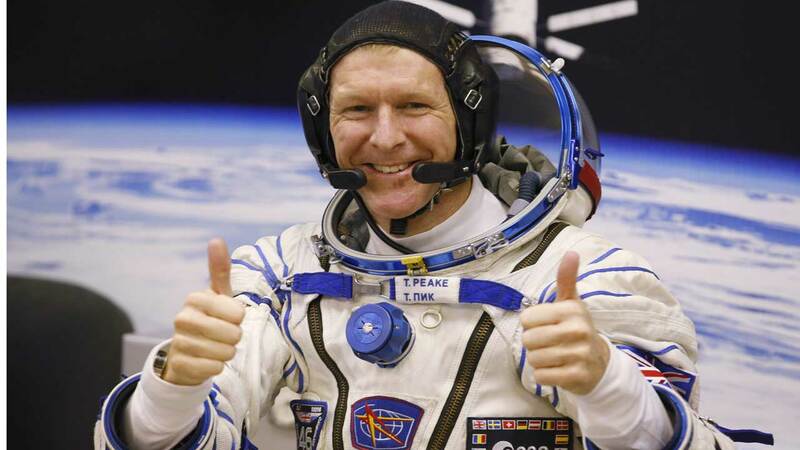 Millions of Britons have been following his mission closely since he became Britain's first publicly funded astronaut and the first Briton to visit the space station. The nation seemed to come to a halt during liftoff Dec. 15 as many stopped what they were doing and nervously watched live coverage of him leaving the earth for outer space. An astronomer told Britons they might have a chance to view the space station as it transits above the earth on Christmas Day. Robin Scagell of the Society for Popular Astronomy said the station would be flying relatively low when it passes over London and would be "the brightest star in the sky, moving rapidly from west to east."